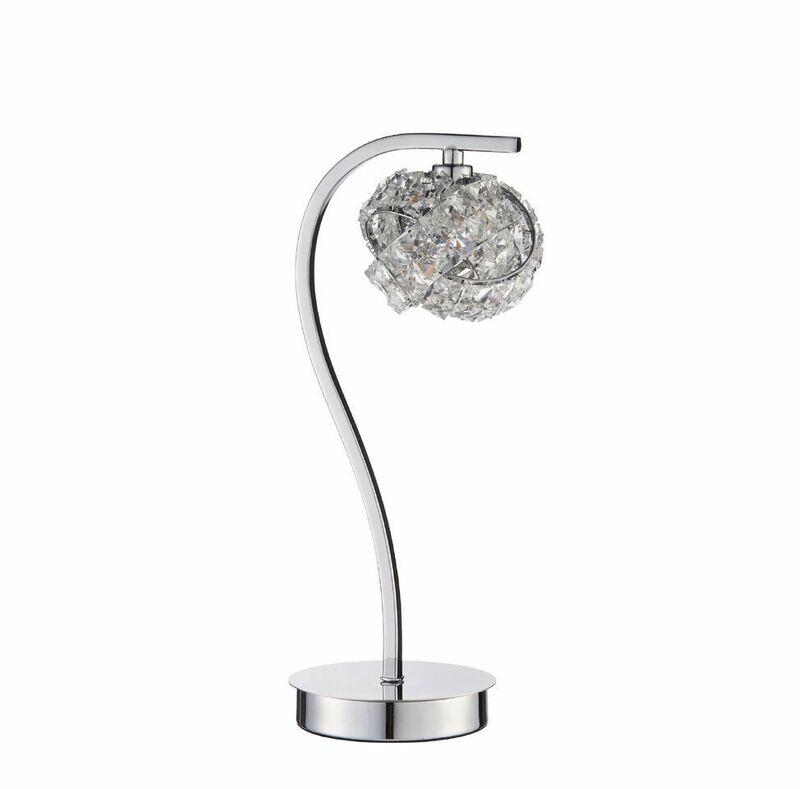 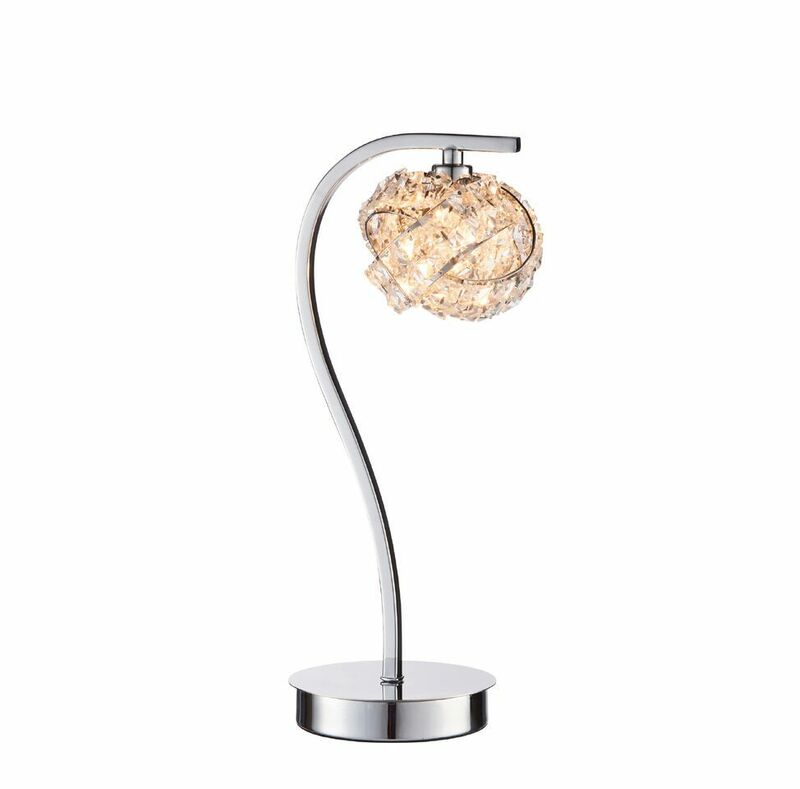 The Talia chrome plated table light features a cluster of inter-linked clear glass crystals, paired with a curved stem detail, creating a decorative sculptural look. 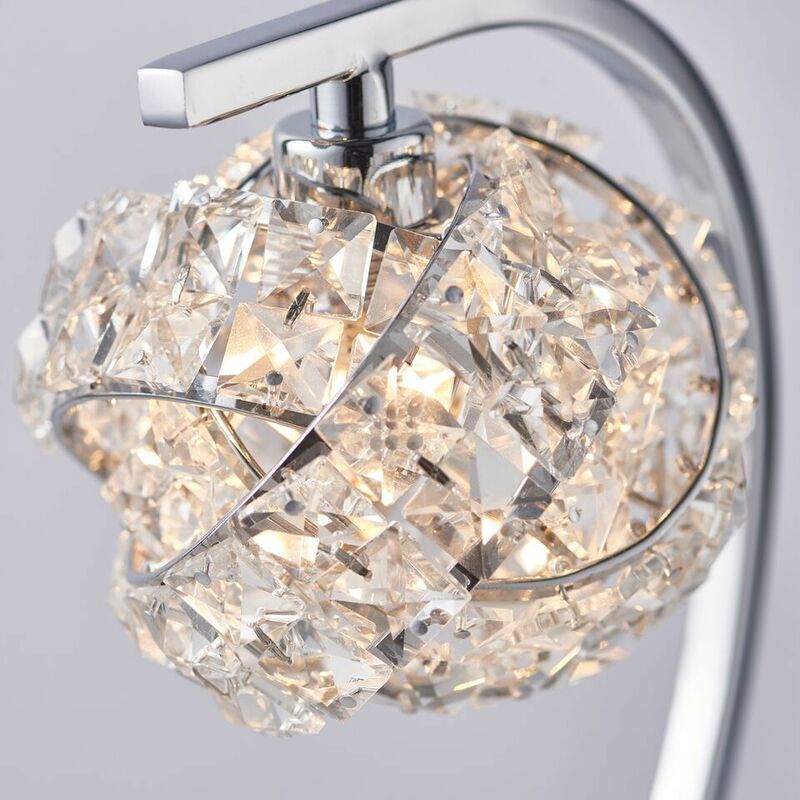 This eye-catching light is both practical and stylish and looks at home in a wide range of interiors. 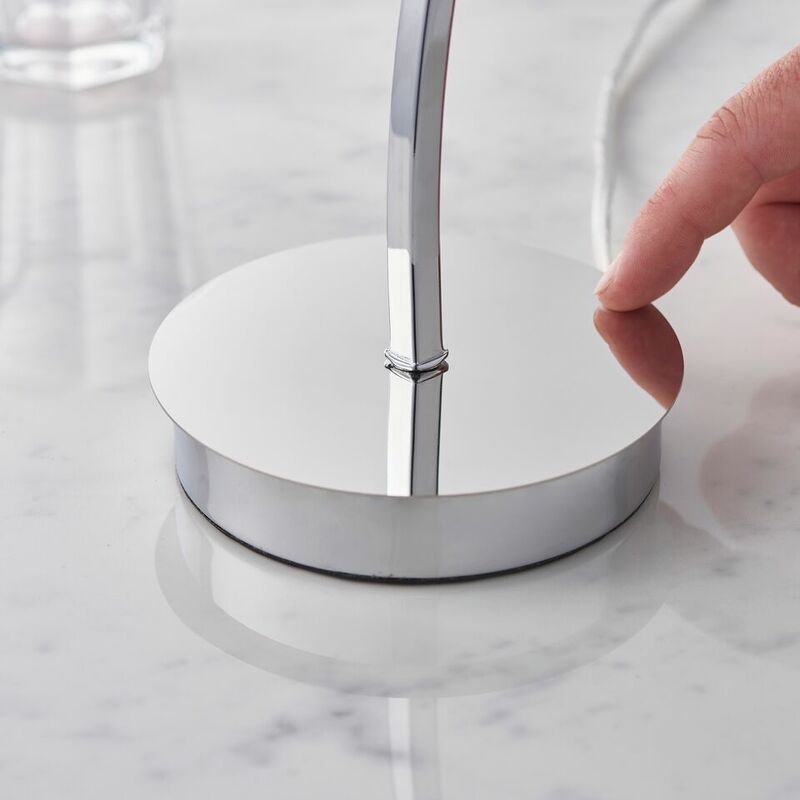 Turn the lamp on or off by touching the base, simple.